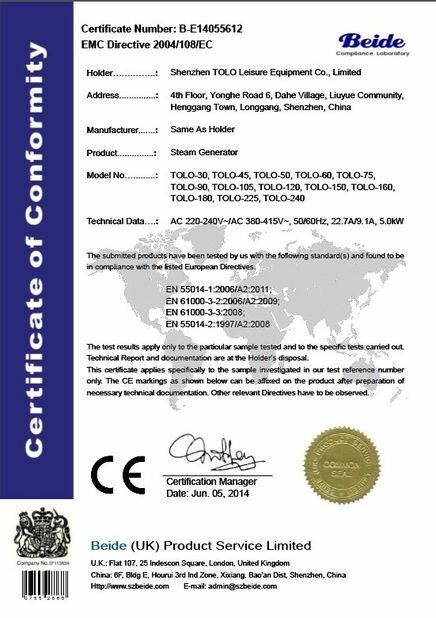 Why choose Tolo barrel sauna? A. 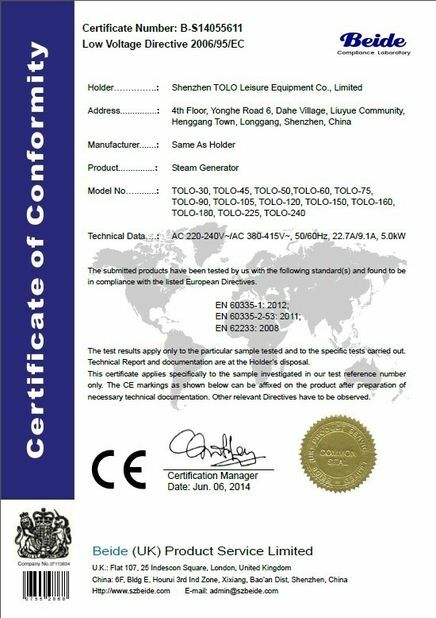 We have specialized in the line for many years. 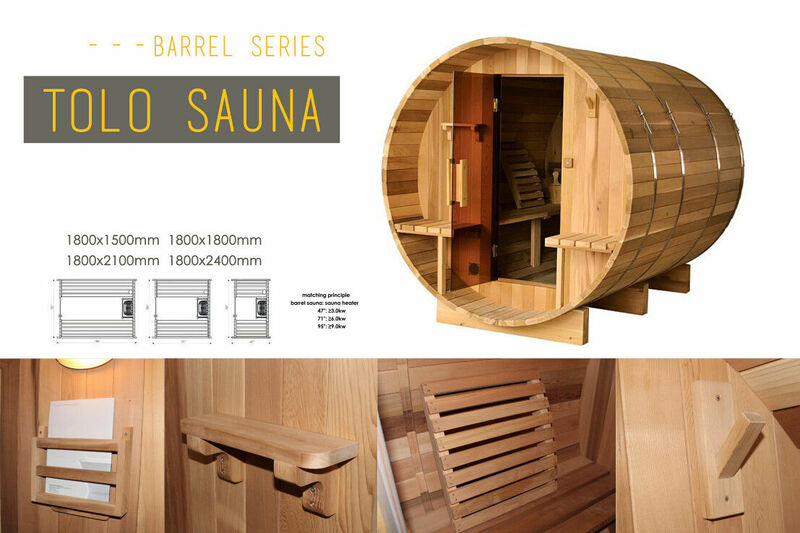 Barrel sauna is different from traditional indoor sauna room, it is large and rounded like barrels, with a door at one "end" of the barrel for entering and exiting the sauna. 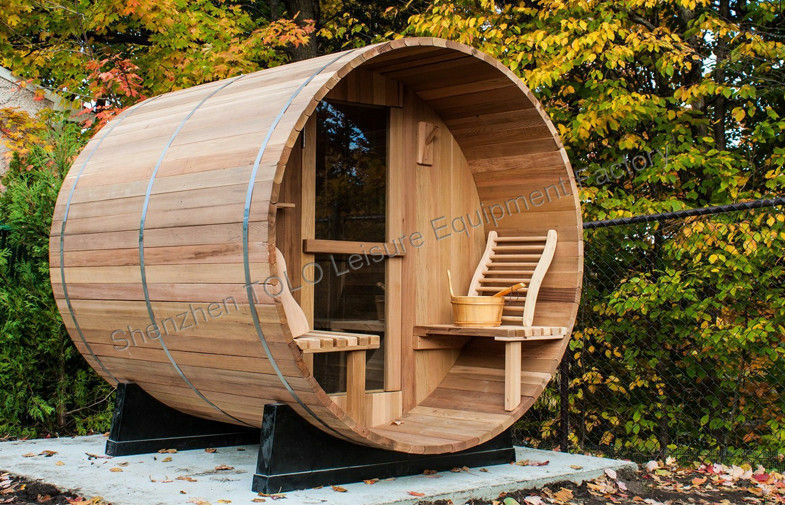 The barrel sauna room is specially designed for outdoor use so it does not take a room inside the house and give customer more flexibility. We only choose the best Canada pine wood or Canada western red cedar for its strength, stability and long lasting beauty. It is naturally resistant to decay and insect damage. The barrel saunas are so beautiful that they become great ornament for your garden or backyard environment. We proudly introduce our new stylish canopy barrel sauna which come with sheltered porch and external seating, so customers could enjoy the fresh air and beautiful view, and the barrel sauna also provides a perfect party space with your swimming pool or outdoor SPA. Q1 Do you have factory, and where is it? Q2 Can we use our own logo? Q3 What's your payment term? Q4 What's your trade term?